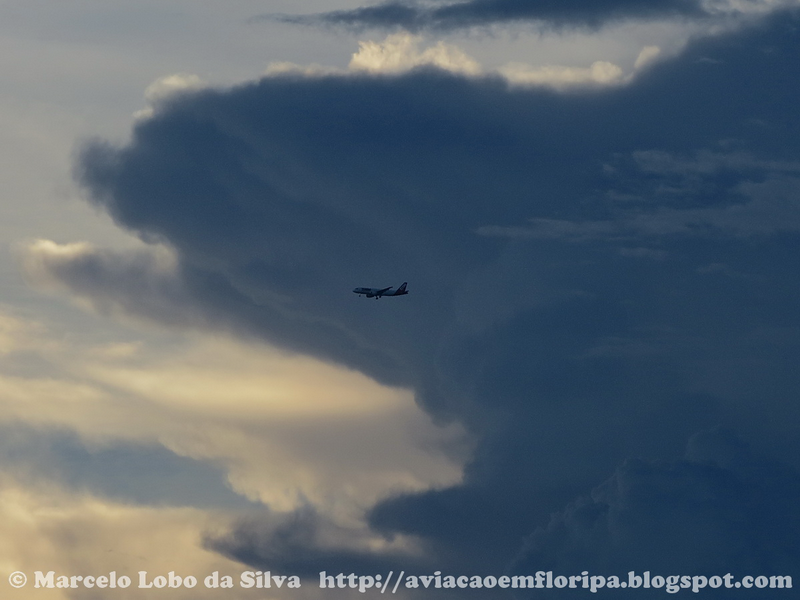 I share with you, a picture made of my house window yesterday, showing a Airbus A320 of the TAM Airlines in the final to the head 14 of the Hercílio Luz Int'l Airport (FLN/SBFL) framed in the late afternoon by majestic clouds of type Cumulus Nimbus, showing how humans and their machines may be small in the face of nature. Hope you enjoy !! !